The pre-colonial and colonial history of New England is rarely told with the balance that comes from inclusion of the Native perspective. Ms. Peters, a Mashpee Wampanoag, explores the primary resources of the period through an indigenous lens providing a fresh, unique analysis of the period. This lecture compliments the exhibit, “Our” Story: 400 Years of Wampanoag History, on display at New England Historic Genealogical Society, April 3 – April 25, 2018. About the speaker: Paula Peters is a modern, traditional Mashpee Wampanoag woman who is recognized as an independent scholar of Wampanoag history. 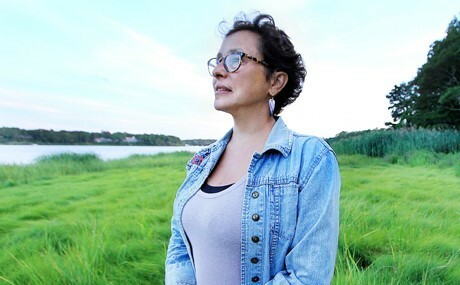 With an expressed mission to interpret history from an indigenous perspective she is the writer/producer of “Our” Story: 400 Years of Wampanoag History, a traveling multi-media exhibit telling the critical backstory of Plymouth Colony. She also produced the documentary film Mashpee Nine and is author of the companion book, Mashpee Nine: A Story of Cultural Justice.